Diuretics if congestive heart failure is present. An example of this would be furosamide or lasix. It is very important to check for dehydration regularly if you cat is taking this medication. Beta-blockers to reduce the heart rate where this is excessive. An example of this would be atenolol. Calcium channel-blockers to help the heart muscle relax and hence help more effective filling of the heart. Examples of this would be diltiazem or amlodipine or norvasc. ACE-inhibitors – these drugs also help to control congestive heart failure. An example of this would be enalapril. Drugs to lower blood pressure – additional medications may be needed to treat hypertension.  The long term outlook for a cat with cardiomyopathy is extremely variable depending on the cause of this disease. Cats with idiopathic cardiomyopathy may remain stable for several years.